If you are looking for information on the Uccello's Ristorante Pizzeria & Sports Lounge franchise business opportunity, Uccello's Ristorante Pizzeria & Sports Lounge franchises or Uccello's Ristorante Pizzeria & Sports Lounge franchising, then you have come to the right place. Welcome to the Uccello's Ristorante Pizzeria & Sports Lounge franchise, a place that gives new meaning to the phrase, "something for everyone"! Founded by Faro Uccello in 1996, this family operation features delicious food made from scratch using our own time-tested recipes. Uccello's combines several winning concepts under one roof: an entertaining sports lounge, upscale Italian restaurant, pizzeria, casual burger and a "pub fare" grill! 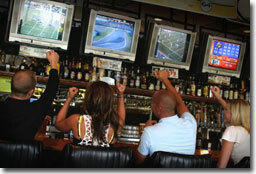 Uccello's is the perfect place to watch a sporting event, bring the family, enjoy a romantic date or have a quick bite to eat with friend! Hungry for an appetizing opportunity? Take a look at the "ingredients" that make Uccello's an outstanding choice in today's sizzling restaurant arena! Stars in a Shining Industry - Uccello's is a sports lounge with non-stop sports, good food, and a gathering place to support your team with other fans. Uccello's features a comfortable lounge atmosphere for those seeking a place to relax and socialize while enjoying sports events. 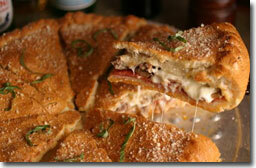 Italian Hits the Spot - In a relaxed, charm filled atmosphere, you can enjoy the flavor and quality of Italian food. The Uccello's Business System - Throughout our years in the restaurant industry the Uccello family has listened, learned and crafted a restaurant that offers a superior experience to guests of all kinds. The many elements of this first class franchise are found in our business system. The following is an overview of this powerful system to provide you with a tantalizing taste of what this franchise holds in store for you and your guests! Accommodating by Design - To accommodate many concepts under one roof, the franchise unit will range between 7,000 and 8,000 square feet in size. Whether patrons are in the mood for sports viewing, fine dining or a quick bite to eat, your Uccello's franchise will hold them easily and comfortably. A Uccello's franchise gives you the best of both worlds: the ability to be your own boss, but with the leadership and guidance of experienced restaurateurs behind you. As a Uccello's franchise operator, you may be able to reduce your risk by following our established system of operation. You'll be in business for yourself, but not by yourself! Full-Scale Support - Becoming a Uccello's franchisee entitles you to full use of our business system and superb menu, plus access to our pizzeria and restaurant experience with a full range of support. Training - You will be trained in all aspects of the Uccello's franchise including restaurant, bar and sports lounge operation, the takeout restaurant business, and how to develop a banquet catering business, administration, operations, sales/marketing, food preparation techniques and On-the-job training. As you prepare to open your doors, we'll send a representative to help you get off to a great start. Operations Manual - We will provide you with an in-depth operations manual which will serve as a guidebook for your franchise. It will contain your daily operating procedures, advertising and marketing plans, guest service techniques and much more. 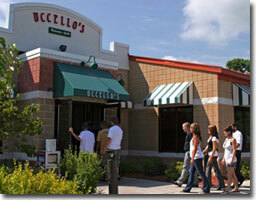 Site Selection - You will be given guidelines for choosing an appropriate location for your Uccello's franchise. Marketing Support - Our marketing support will include the creation of marketing plans and advertising materials for your use. We will also share promotional ideas including daily specials and other draws. Ongoing Service & Support - We will be available by phone or email to answer any questions you may have during the process. In addition, you will be visited periodically by a trained Uccello's field representative.